There is almost no physical evidence of Loyalists in British Columbia: we are not blessed with their mementos in the form of tombstones, buildings and other structures that become more bountiful the further east one travels. Although Loyalists may not have been this far west, their living descendants are present in this region. In 2014, the UELAC Vancouver Branch published Moving Ever Westward: Loyalist Descendants Come to British Columbia. To order a copy ($20.00 + S/H), contact the UELAC Vancouver Branch by sending an email to uelacvancrbr@gmail.com. 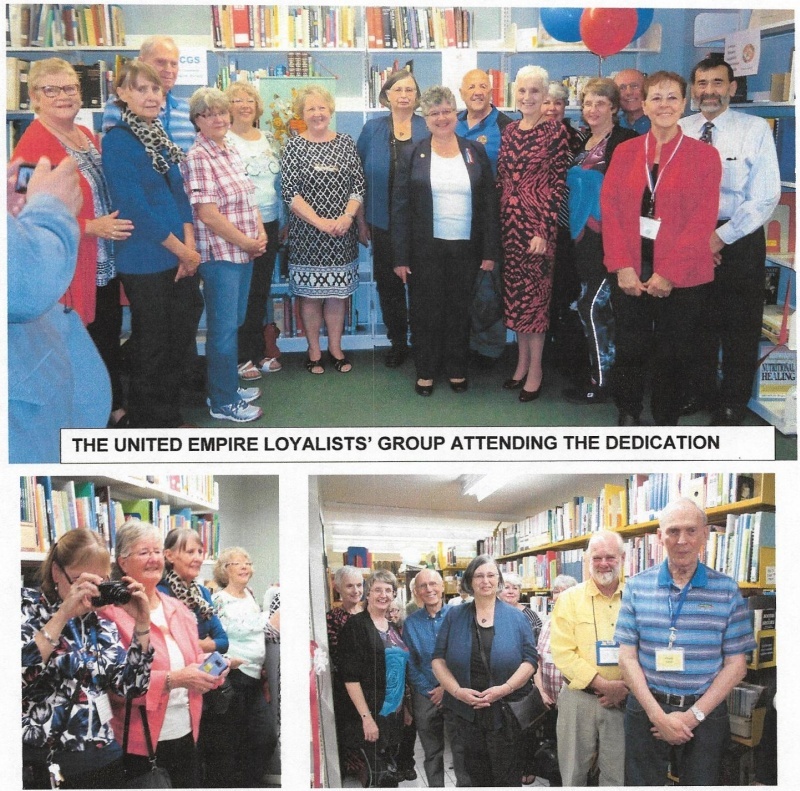 Western UELAC branches are very fortunate that their branch members represent not just one area of Loyalist settlements but many of them. Much documentation of Loyalist history is to be found in libraries and special collections in the Maritimes, Quebec and Ontario but little resides in western Canada. Most of the original documents are in London, England. In recent years, the UELAC Vancouver Branch Library had outgrown its home. A UELAC branch Committee was appointed to research possible repositories for the collection adn report back to the Executive. 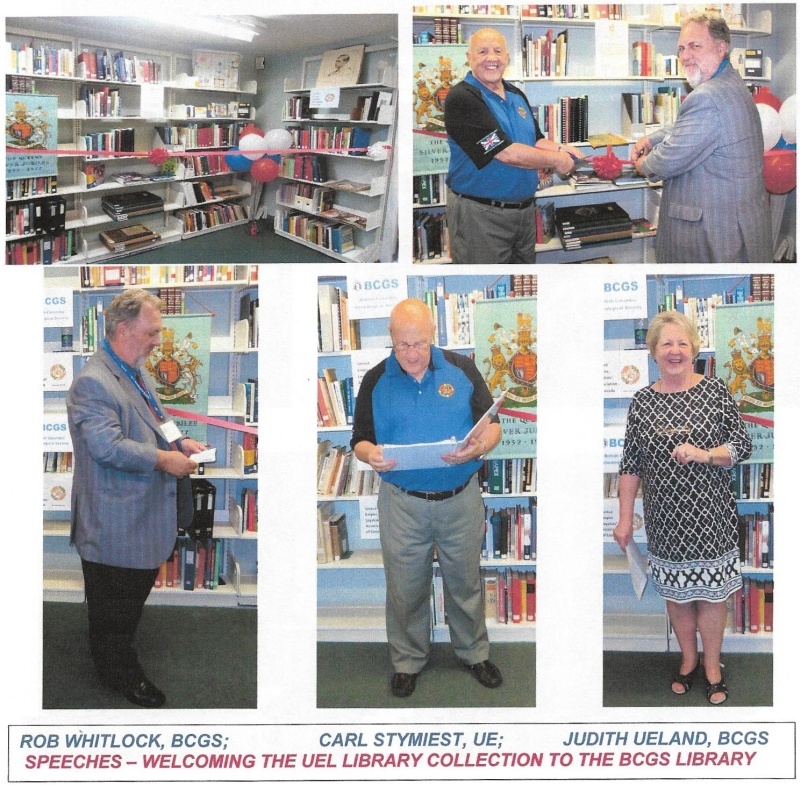 In 2015, an Agreement was reached and signed with the British Columbia Genealogical Society and on 16 September 2016, the Pacific Loyalist Library Collection found its new permanent home. The BCGS Society's library is called the Walter Draycott Library and is located in Surrey, BC. On this day, the UELAC Library Collection was gifted to the BCGS, to be kept in its entirety as a separate collection at the Walter Draycott Library. The library will certainly be used again, now that it is open to the West Coast and the General Public who are researching their loyalist ancestor(s).